Esther really wanted to win the contest and get the prize. But she had absolutely no credentials. She was sure that everyone else who was entering the contest did. She was right – big name newspaper people submitted entries. What was the prize? It was to take over the advice column that Ruth Crowley wrote as “Ann Landers” for the Chicago Sun Times because Crowley, 48, had suddenly died. We know Esther got the job, but how the heck did she pull it off? Esther was an identical twin. On July 4, 1918, Russian immigrant parents gave birth to Esther and Pauline in Sioux City, Iowa. Esther was 17 minutes older. The twins were good friends. They went to the same college and both wrote for the college newspaper. They were married in a double ceremony. 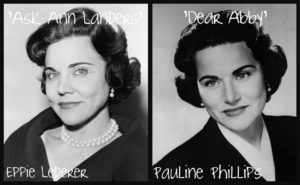 Esther was 37 when she took over as “Ann Landers.” Her first column appeared Oct. 16, 1955. 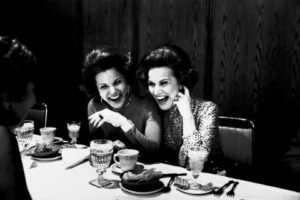 Three months later, Pauline started her own advice column, “Dear Abby,” calling herself Abigail Van Buren. Both columns were extremely successful, but the twins became estranged. 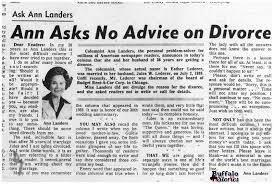 Many of the Ann Landers columns drew huge responses from readers, but the one that drew the most appeared July 1, 1975, when Ann Landers told her readers that she and her husband of 36 years were getting a divorce. Some 300,000 letters poured in. By the time the sisters were reconciled, Pauline was suffering from Alzheimer’s. She died in 2013. 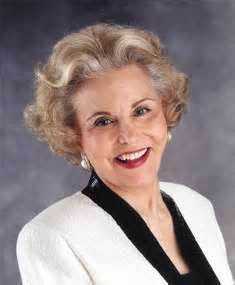 Her “Dear Abby” column is continued by her daughter, Jeanne Phillips. 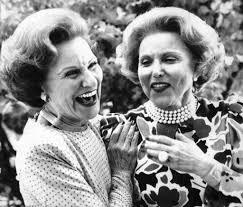 “Ann Landers” ended with Esther’s death in 2001, just before her 84th birthday. So what had Esther done to win the contest? She did not try to give advice on subjects she knew little about. Instead, she submitted the questions to experts in their fields and then quoted their answers. For a question about who owned walnuts, she asked a U.S. Supreme Court justice. For religion, she went to the president of the University of Notre Dame. Ann Landers: At every party, there are two kinds of people—those who want to go home early and those who don’t. The trouble is, they are usually married to each other. 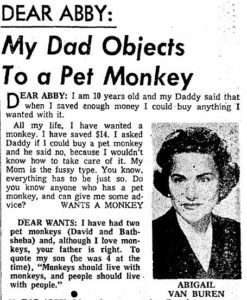 Dear Abby: I have always wanted to have my family history traced, but I can’t afford to spend a lot of money to do it. Have you any suggestions? —M.J.B. in Oakland, Calif.